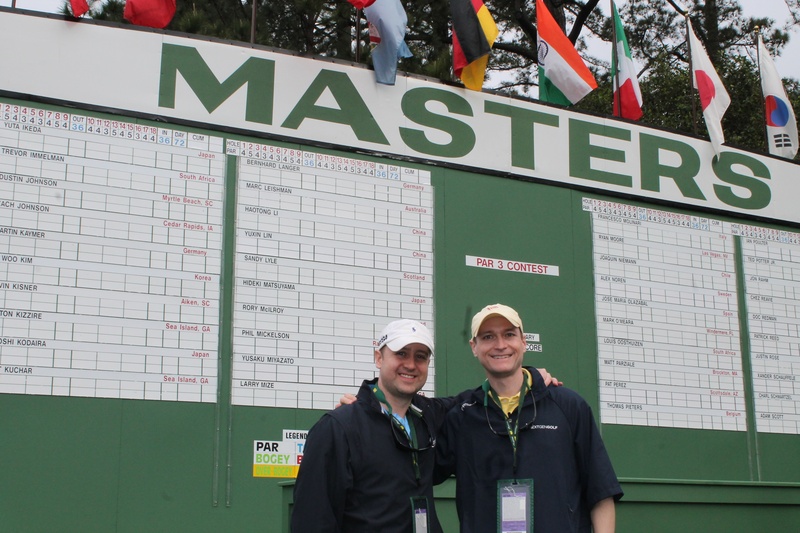 The Masters is very different than a typical golf tournament in so many ways, but given the traditions, restrictions, and overwhelming nature of the property, I thought it would be nice to share some tips and tricks for patrons who are attending their first Masters Tournament. 1) Take your photo in front of the clubhouse – Did you know you can have your picture taken in front of the iconic Augusta clubhouse? It’s hard to find out where to take the picture since you need to go all the way around the clubhouse and pass the par three course to find the picture line but do yourself a favor and go get your picture taken. of multiple holes. Claim your spot first thing in the morning when the gates open! meet on the bleachers on the 15th hole at 3:00 is not good enough. There are so many people on-site making it quite difficult to find other people. There are payphones on site so make sure to write down friends/family phone numbers if you need to make a call while on site. 4) Take advantage of Free Parking – There is free parking on-site at the grounds. I did not know this until the day of the tournament and spent $20 to park across the street from the grounds. Oh well, live and learn. If you are not driving to the course, taking an Uber or Cab can get expensive. We paid $60 to go 4 miles down the road! Uber may not be an option since you do not have your cell phone with you anyway. 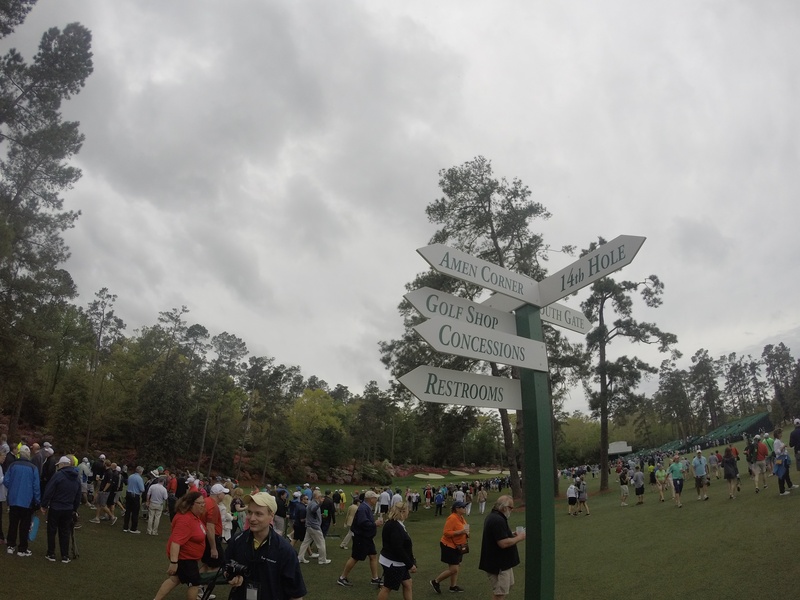 5) Buy Merchandise Early – The merchandise tent (well, merchandise house) at the Masters is impressive to say the least. The lines can last long and shopping inside the tent can also take time. My recommendation is to do your shopping really early. The merchandise area has a “checked bag and shipping section” so if you do your shopping early, you do not need to carry around your merchandise for the day. Don’t know what to buy? Golf Digest wrote an article about their 18 favorite Masters merchandise items.